Age of children:At Shawfair House we care for children between 3 months and 5 years. Shawfair House is a large detached farmhouse that has been transformed into a magical nursery incorporating fantastic outdoor space in it’s safe enclosed gardens. The nursery is situated near Sheriffhall Junction, adjacent to Shawfair Business Park and Ride, making it an ideal choice for busy commuting parents. Every nursery day is different and the children are encouraged to take risks and challenge themselves through play. Children explore the many stimulating experiences on offer and are motivated to achieve their full potential. Outdoor play is a huge focus and learning through nature and natural resources are provided both indoors and out. Our qualified and experienced staff have a caring and nurturing character, and they all ensure strong relationships are made with families. All childcare vouchers are accepted including tax free childcare. We are in partnership with Midlothian Council to provide ‘Good time to be 2’ funded places and pre-school funded places. Our daily routine is flexible as we are responsive to the needs of the children within our 3 separate play areas. Little Discoverers – Is designed to stimulate your baby’s senses using lights, music and textures to inspire and develop their learning. The baby room is for babies from 3 months up to approx. 18 months. The Adventurers – This room is for little ones aged approx. 18 months to 30 months and includes fun learning experiences for your child to develop their skills, indoors and out. Young Explorers – Our Young Explorers accommodates the first floor which has four well-resourced play rooms and is for children aged approx. 30 months to 5 years. We have core resources available to the children all day and they also have access to the outdoors area so they start to be in control of their own learning. Enjoy a Ball – Enjoy a Ball classes are action packed and full of fun sports designed to nurture and develop your child’s abilities, confidence and fitness, setting the building blocks for your child’s more complex and specialised skills. Some examples of the activities your child would take part in are throwing, catching, kicking, jumping and running (super-fast!). Step It Up Dance – This hip hop dance class is for children aged between 18 months and 5 years. The classes are a fun way for little ones to enjoy music, movement and dance in a safe and encouraging environment. 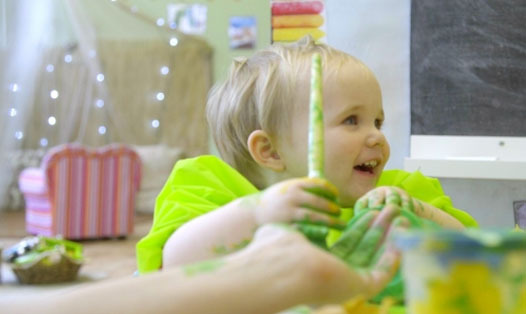 The Drama Mill – This energetic theatre arts company has joined with Chapter One Childcare to provide exciting workshops within our Shawfair House nursery. Understanding the creativity children possess their ethos is to inspire and develop each child to make them feel 10ft tall. All food and refreshment are provided by Chapter One and are included within the fees, including breakfast, morning snack, cooked lunch and pudding, as well as afternoon snack. Breakfast - cereals or porridge. Morning snack – fresh fruit and milk. Lunch - Daily fresh meals are provided by our outside catering company, Union of Genius with healthy, nutritional meals such as wholesome soups, casseroles and mild curry dishes followed by yoghurt, berries and purees. Afternoon snack – comprising sandwiches, veggie sticks, dips and fresh fruit.